Cheap Pill May Save Lives When Given Before Surgery : Shots - Health News A new study shows beta blockers cut the risk of a heart attack for patients at risk during surgery. The cost? $1 per patient. But only half of hospitals offer the drugs to at-risk patients. Patients at risk of a heart attack who are having surgery can cut their death risk 35 percent by simply taking a drug called a beta blocker. The cost: A dollar per patient. That's the bottom line of a large Veterans Affairs study in the October issue of the journal Anesthesiology. And here's why your doctor might take notice: The new study may allay earlier doubts that beta blockers for surgery patients may pose more harm than good. The new study looked at the effect of beta blockers taken around the time of surgery in nearly 39,000 VA patients undergoing operations of any kind. Beta blockers are widely used pills that blunt the effect of the stress hormone adrenaline on the heart, slowing the heartbeat. The idea is that in somebody at risk of a heart attack, the drug shields the heart from the stress of surgery, which can jack up the heart rate. This isn't the first study to show a protective effect of beta blockers in surgery patients with known heart disease or cardiovascular risk factors such as high blood pressure, high cholesterol and smoking. Since 1996, a series of studies that randomly assigned such patients to beta blockers or placebo pills suggested the drug could lower death risk by up to 90 percent. The new study is not a randomized trial. It looked back at how many people died within a year of surgery if they took beta blockers or not. Its authors say this provides a more realistic picture than carefully controlled look-ahead studies. "This is what happens in real life," says study leader Arthur Wallace of the San Francisco Veterans Affairs Medical Center. "And still it reduces mortality by 35 percent. That's pretty good." Wallace says about half of hospitals have adopted the routine use of beta blockers in at-risk surgery patients. If it were universally used, he says, it would save about 7,000 lives a year. He hopes the new study will address doubts raised by a 2007 study called the Perioperative Ischemic Evaluation trial, or POISE. It concluded that beta blockers prevent heart attacks among surgical patients, but raised the risk of deaths and severe strokes. 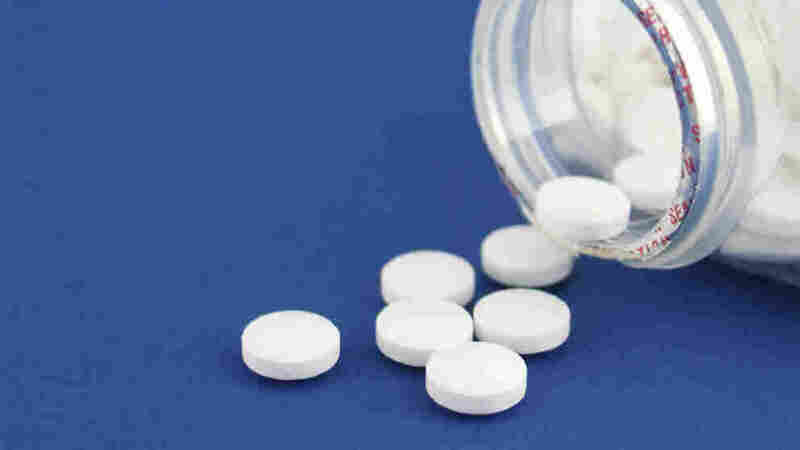 In the wake of POISE, an expert committee of the American College of Cardiology and the American Heart Association last year backed away from its earlier recommendation to use beta blockers routinely in surgical patients with known or suspected heart disease. The new guidelines urge more care in the timing and dose of beta blockers for surgery patients. "When POISE came out, we thought, oh my goodness, maybe we've done something wrong," Wallace says. "We've been telling people for 10 years to use this drug. Maybe we've made a mistake." So the San Francisco group decided to use the VA's computerized record system to see how beta blockers affected the death rate among its surgical patients from 1996 to 2008. The new study found no evidence that patients who got beta blockers around the time of surgery had more strokes. "We just didn't see any strokes," Wallace says. "We didn't have enough to say anything about it." He says the POISE study came up with different results because it used an unusually high dose of beta blockers – 16 to 32 times higher than the usual dose. One other apparent lesson from the new San Francisco study: It's a very bad idea to take beta blockers away from patients already on the drug when they enter the hospital for surgery. The VA study finds that quadruples patients' risk of death. Wallace says hospitals routinely stop patients' routine medications when they come into the hospital to prevent bad drug interactions. "We have to change the way pharmacies think," he says.